Lulu Jr. 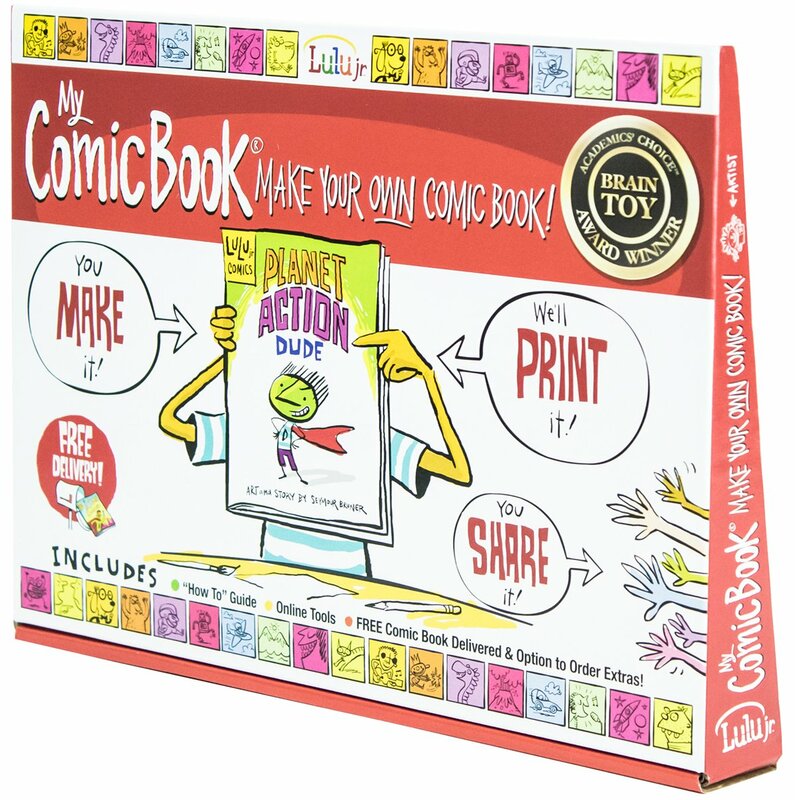 Create Your Own Comic Book and Other Book Making Kits! First of all..I love that these books are very gender neutral! We had some cousins over the day we got these kits and the girls were as excited as the boys, if not more! 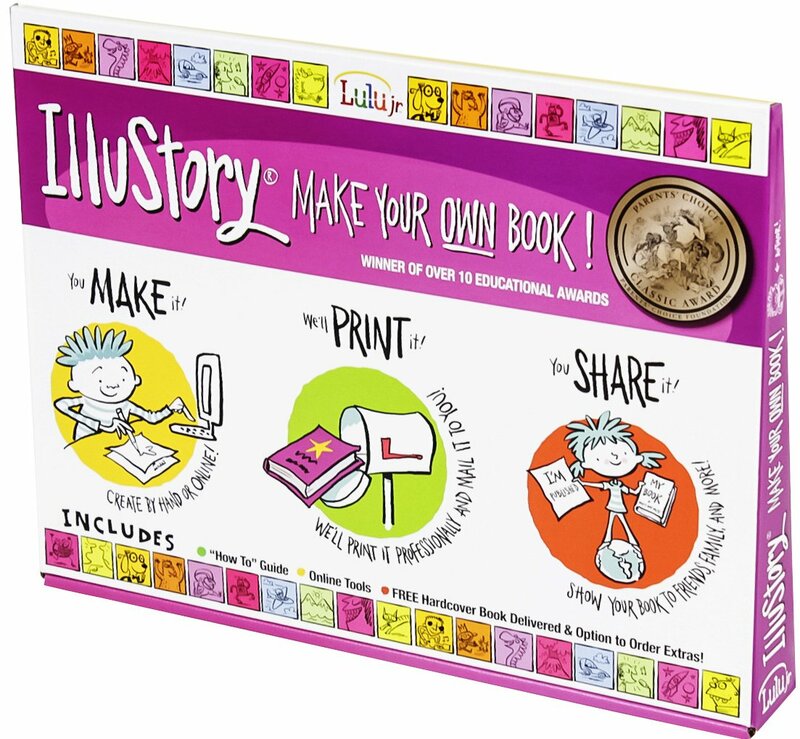 Illustory by Lulu Jr. is the newest version of the award-winning bookmaking kit for children. 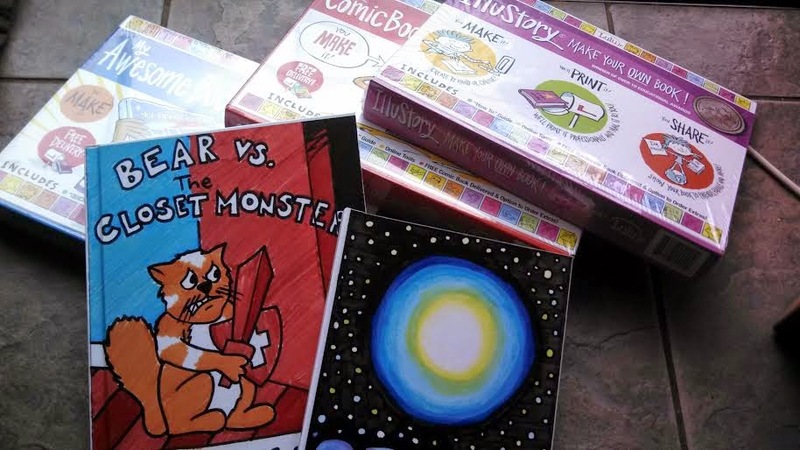 With Illustory, your child writes and illustrates their own original story that will be printed as a full-color, hardcover, professionally printed book. You choose whether to mail your completed book pages to us in the included prepaid envelope, or you and your child can create the book online. The final product showcases your child as the published author on the book's back cover using our 'About the Author' feature. 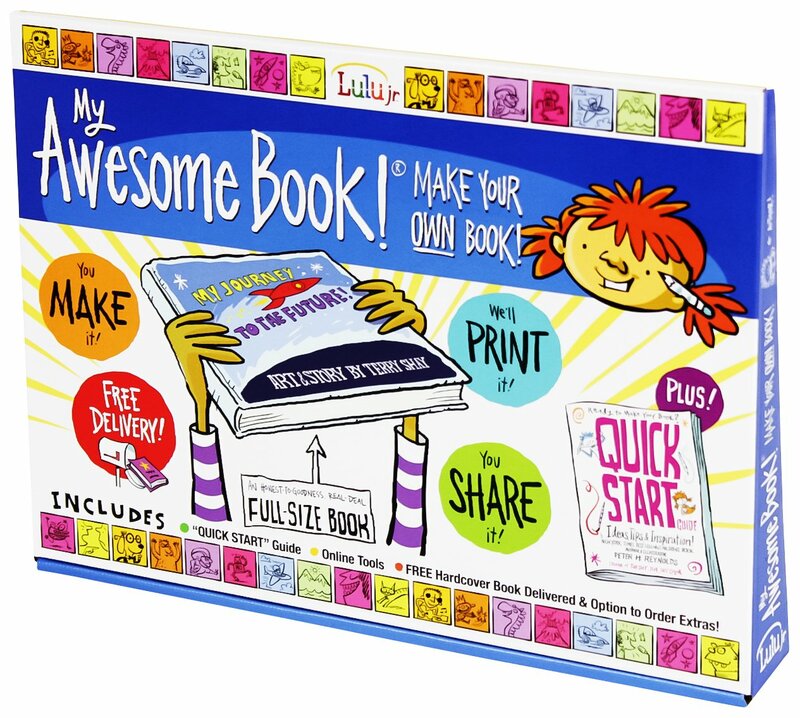 My Awesome Book is a unique way to help develop your child's writing skills, while encouraging their creativity and imagination. Your young author creates their characters, develops the plot, and chooses the setting and everything else about their story. 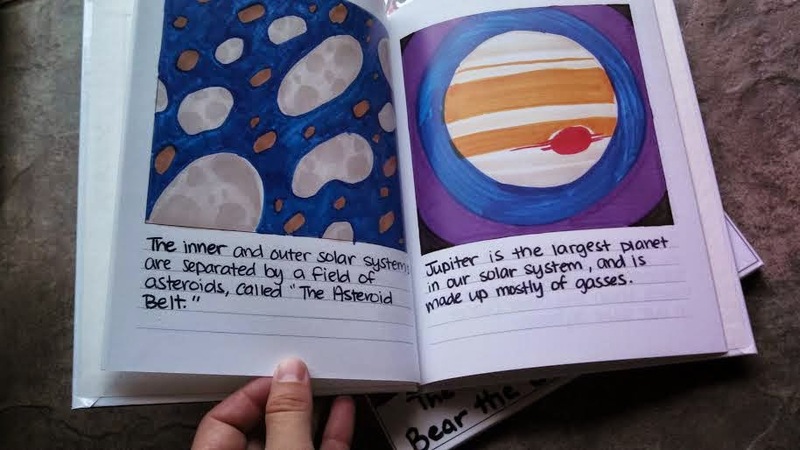 My Awesome Book is a great way to connect with your child and guide them in project-based learning or, by using the included materials, they can create a storybook all by themselves. All of these books are purchased online, created at home, and then shipped back to Lulu Jr. where they will finish up the book and send it back to you in 2-6 weeks (depending on the style you choose) completely bound and printed. Each of these kits is about $29.99 and includes the finished product. I think this would also make a great gift for a child to give another child, or parent. We decided we are going to make an Awesome Book for dad for Christmas this year!